Posted July 11, 2013 by finnfemme & filed under Fashion, Vintage. There seems to be a resurgence of the ubiquitous 70s crocheted granny square items lately! 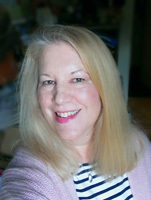 I’ve notice several vintage hand-crocheted granny jackets being bid up to hundreds of dollars on eBay. 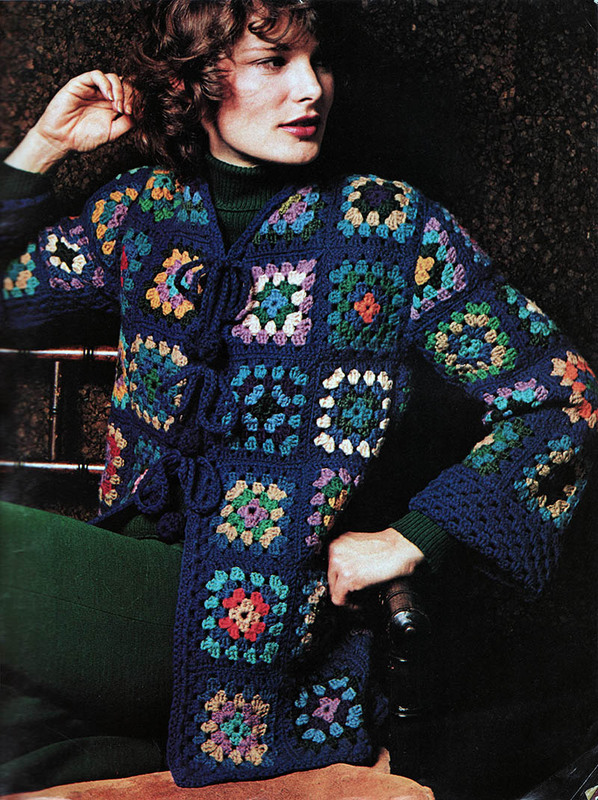 Here is a great crochet pattern from 1973 for a “Out-of-the-Blue” Jacket. Multicolored squares edged in blue make a charming night-or-day cover up. Triangular grannies shape neck and shoulders, gussets ease underarms and hips. In knitting worsted. Granny squares are pretty foolproof to make, and are portable. A fun project to make on the go! Eureka! I made this jacket in the early 1970s and it has since gone to the great granny square beyond. I have been looking for the pattern for several years so that I could make another. Thank you so very much for posting this on Pinterest so that I could find it! I’m reading the pattern but I don’t know what is a size 00 hook. Can you help me please? Size 00 hook is a STEEL Crochet Hook size. Thank you for letting me download this pattern. I made this in the early 1970’s in different colours and wore it till it fell to pieces. I have been looking for the pattern for many years, and when I have finished my Granny Squares blanket, I hope to make it again. Thanks for sharing this pattern, Marilyn – it looks lovely. I’m wondering what ply to use? The yarn to use is worsted weight. Thank you for that lovely walk down Memory Lane, Marilyn. I picked up a few patterns while I was strolling by, for which I thank you. As wonderful as the old days were, I’m quite happy with my life now, but it’s sometimes nice to recall some of the bygone days. I hope you’re happy as well and thank you again. Perhaps I’ll return and take another stroll sometime.